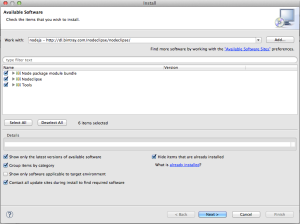 Fortunately, nodejs installer was prepared. Please access node.js and download .pkg. 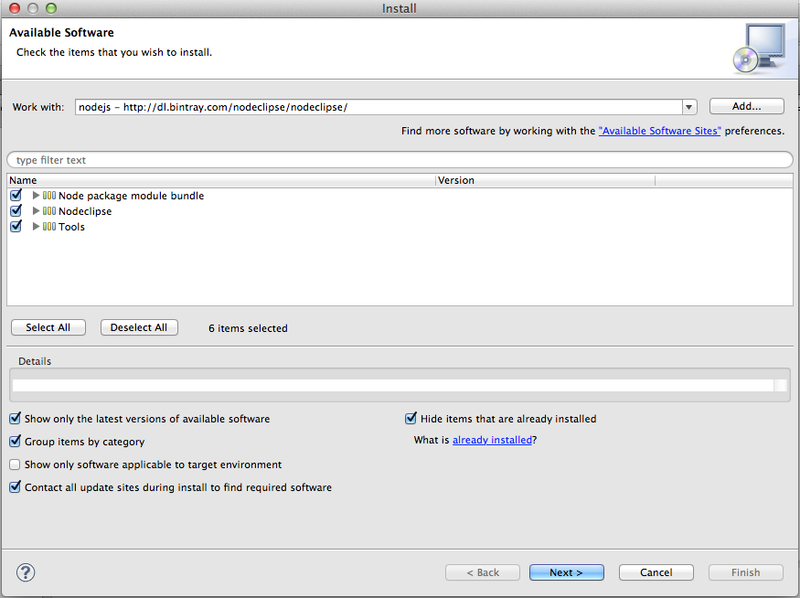 You can install with only double click pkg. You access http://localhost:1234, you can see Hello! 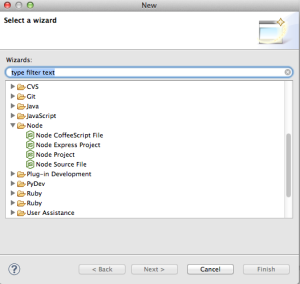 After install, you can use Node Project from eclipse. 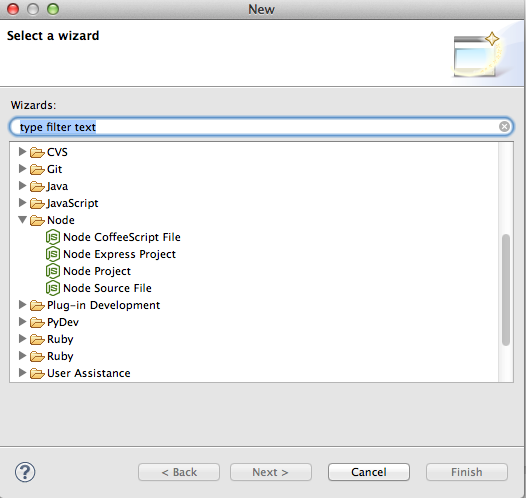 Server running at http://127.0.0.1:1337/ This info is under your eclipse console.